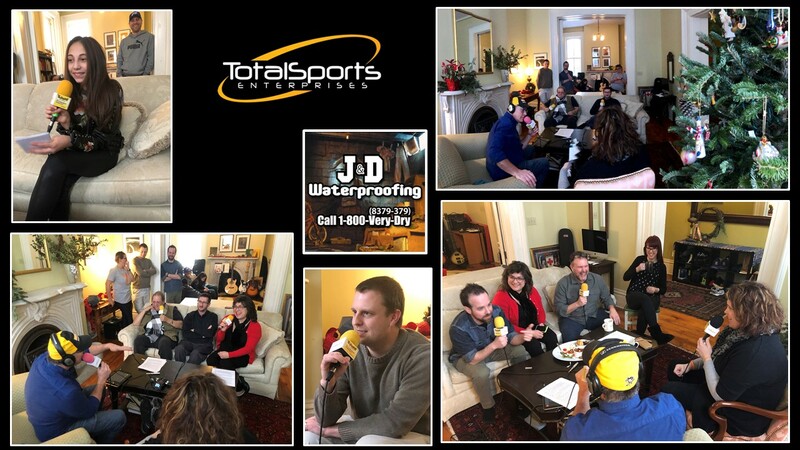 Summary: The 2nd fireplace lands us at the home front of Sprezzatura creator, Jen Saffron, thanks to sponsors, J&D Waterproofing’s Shawn and Harry who are celebrating their 80-year anniversary. Jen chats about her booming catering service and her warm welcome in Millvale; Sprezzatura headquarters. The warm and toasty jagoffs welcome Jeremy Jones of “Discover the Burgh” who has a new duty in addition to traveling Pgh, Flick, formerly of STAR and 92.9 radio may have the best gig in town now, Johnny Hartwell of 3WS talks about genre change in radio. Plus, the mini in stature singer with a maximum voice, Ashley Marina, discusses the music scene that has been booming for her. To listen: press the Play Button below. Don’t see the Play Button above in your email? No worries. Click the one below to listen while you wait for the big snow storm to come this weekend. SPONSOR: Total Sports Enterprises had some small signings with some big names like James Conner and JuJu Smith Schsuter. What that means for consumers is the inventory went from small to big. So, checkout tseshop.com for all of your Steelers favorites and don’t forget TSE is also your place for Pens purchases from Kessel to Rust and even some throwback favorites. Catch TSE at the RV show from January 19-27 for some black and gold additions to your game room or man cave and enjoy the biggest warm weather preparation this year. Visit tseshop.com for all of your black and gold needs. Question of the day: Our common thread is longtime jobs that led to other jobs, if you could have a dream job what would it be? 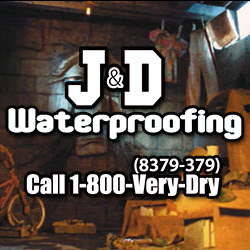 1:30 Shawn and Harry: Proud Sponsor of YaJagoff Fireplace Tour, J&D Waterproofing, talks about home improvements beyond water damage issues, plus perfect timing, with the first snowfall of 2019, to consider the expertise of J&D Waterproofing for water leakage as well as siding or window issues that need attention. 6:23 Jen Saffron: Food is art according to our artsy chef who recently hung up her full-time non-profit art career hat to open her headquarters at the Moose Lodge in Millvale. Her kitchen has been delivered to begin her partnership with 412 Food Rescue in building a sustainable food service hub for Pittsburgh. 14:26 Cydney: Cydney returns on the podcast to bring the best broth in town on a cold day and to discuss the CoreLife Eatery CoreLife Challenge that only lasts for 21 days! Be sure to sign up to accept the challenge of cleansing, moving and healthy eating. 18:12 Jeremy Jones: Co-Owner of Discover the Burgh, Jeremy Jones, talks about living his dream career of visiting and reporting the best to do’s of Pittsburgh, while addung some SEO secrets to making that reporting successful. Though his main interests involve cheese, tacos and wine, he does not limit his curiosity for uncovering the burgh. 32:50 Flick: Flick, formerly of STAR and 92.9 radio, discusses his new passion of modern healing in the realm of the cannabis industry. From radio to radical healer, he describes the holistic approach to medicine. Patients can visit The Healing Center in order to find their choices of products that include vapes, drops, capsules, lotions and more! 44:28 Jonny Hartwell: Johnny Hartwell of 94.5, 3WS, talks about the biggest changes in radio as well as his longevity in the industry. As one of his charitable missions, Hartwell has joined forces with Sprezzatura and Hair Peace Charities for an upcoming event. Hair Peace Charities helps females in the Pittsburgh region with financial assistance to purchase a wig throughout cancer treatments. 58:26 Ashley Marina: We go gaga over 11-year-old Ashley Marina in her cover of “Shallow” by Lady Gaga. This pint size singer talks about her dream of becoming a triple threat through singing, dancing and acting. With daily practice and constant gigs, this Montour student is sure to have her name in lights…but will she remember the jagoffs when she is a star? Happy New Year & Anniversary, Ya Jagoff!